Most banks offer currency exchange services and can offer some of the best rates. Government-certified currency exchange booths also offer currency exchange services outside of regular banking hours around areas frequented by international visitors. Certified booths are marked with currency symbols with a “Certified” sign on display. It is ill-advised to exchange currency at uncertified booths. 1. Purchase merchandise of total value greater than 30,000 won at stores displaying the “Tax Free” sign. 2. Show your passport and ask for a refund check during checkout. 3. Present your passport, refund check, receipt, and unopened purchased merchandise at airport customs when leaving the country. 4.Receive your cash, check, or credit card refund at the refund counter located near the departure gates. Tipping is not a part of Korean customs nor is it expected anywhere. However, many major hotels and upscale restaurants add a 10% service charge (on top of the 10% VAT) to the bill. Taxi drivers don’t expect tips, but do appreciate if you let them keep the change. Foreign currency exchange transactions can be carried out at a bank within an airport or at a bureau de change or bank in Seoul. 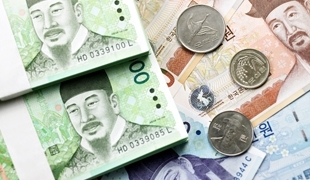 You can exchange your foreign currency or travelers’ checks for Korean currency, i.e. Won or KRW. You need to present your passport or foreign national registration certificate when making a currency exchange transaction. Local prefer to use bank-issued checks for transactions exceeding 100,000 KRW.